We carry a variety of hand held stone pipes from international made by talented international and local kansas city artists. Our Hand Made Stone pipes are great functional pieces in a unique high end style. Many people enjoy stone pipes over glass, particularly those who simply prefer the look and the durability. As far as the smoking experience of stone vs. glass, it is debatable as to whether there is much noticeable difference. The smoking experience itself is more dependent on the actual design of the spoon pipe rather than the material. We stock a wide variety of stone pipe styles that come from both international and local Kansas City Artists. If you’re looking for the best place to find a hand pipe made out of an authentic stone, then look no further than Lets Vape & Smoke Shop. 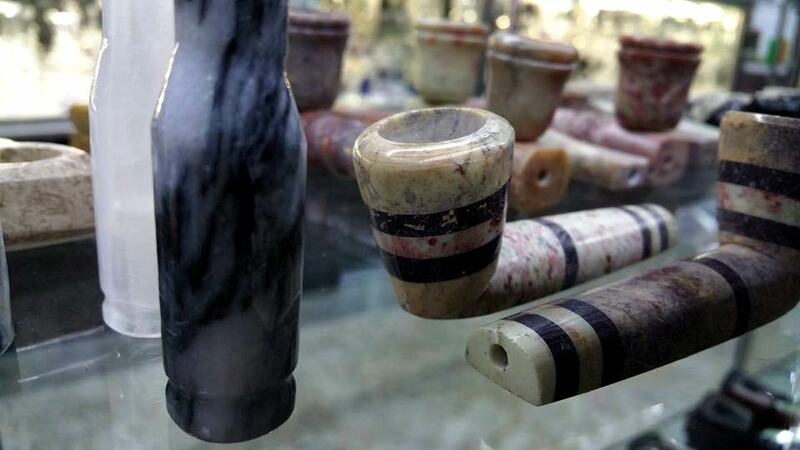 We can get you the best deal on a hand made stone pipe in Kansas City.